Are you visiting London for the first time? The British Capital is a particularly expensive city: so much so that many travelers think they can’t afford it. However there are plenty of ways to spend (at least) 2 days in London without breaking the bank. 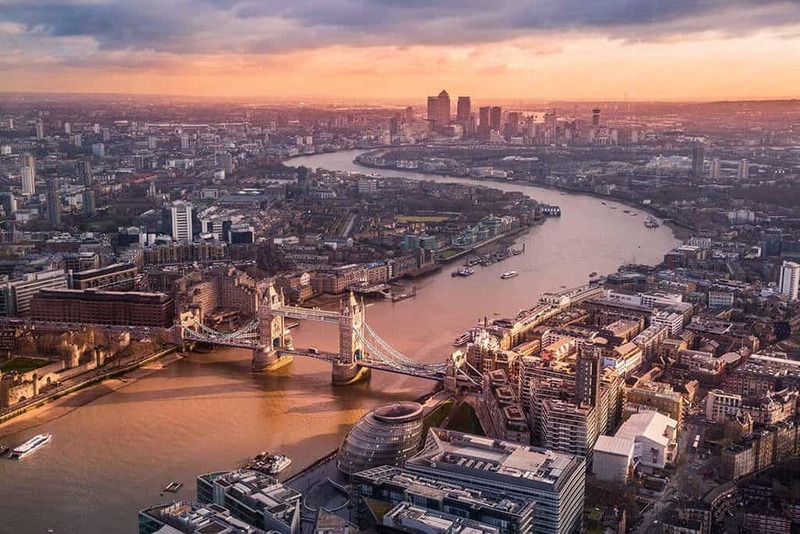 Let’s see how you can make the most out of your trip with this itinerary which lists many cool things you can see and do in London… for free! Surprised? Don’t be, let us show you how! While Dany’s mom and sister are absolutely crazy about London, we hadn’t been there in… 10 years, more or less. The city we remembered was absolutely expensive, overcrowded and confusing. We were youngsters at our first trip together and of course we spent our budget visiting all the places we deemed “must-see“. Like… Madame Tussauds, so we could take pictures with the mighty and famous. 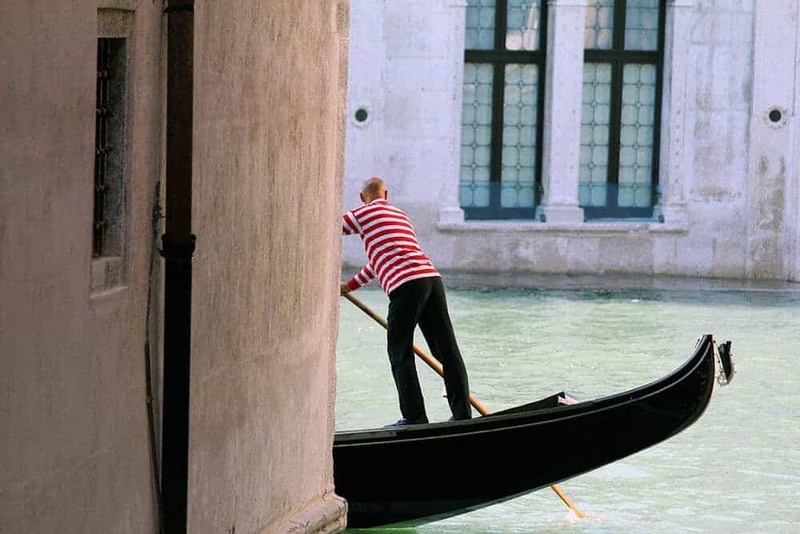 Yes, we’ve all been that kind of traveler! When Visit London invited us to explore the city, we were skeptical at first, because we honestly hadn’t had such a great experience on our first trip to the British Capital, and we failed to see the appeal. Dany’s mother on the other hand was ecstatic. For the past five or six years she’s been in London at least once (or twice) every year and she’s still able to find new things to do and see. If you consider that she stalks the official London tourism board on almost every social, drooling on their London pictures, you’ll understand that by telling her we were going, we earned extra brownie points! This second trip made us understand that we absolutely hadn’t seen the best parts of London, focussed as we were on the expensive tourist traps. Because of course, if it’s free it means there isn’t much to see, right? 2 days in London can be enough to see the main highlights if you know plan it well! As we already mentioned, London can be particularly expensive. Most of your budget will be allocated for two things: hotel and public transport. They’re also both tightly related. Choosing a cheaper hotel located farther away from the city center will cost you in terms of time and commuting. Especially because you only have two days in London, it’s very important that you splurge in a hotel located within the London fare zone 1. The London Underground, lovingly called the Tube, is the best way to get around, followed right after by buses and Uber. After trying the New York subway we were terrified that we’d get lost in London as well (alas, if you’ve been to New York City you know what we’re talking about), but… surprise! The Tube is easy to use, easy to understand, clean, and it will bring you wherever you want to go. The direction where you are going is clearly stated before you get inside the train, there are signs everywhere. But then again, in case you are in doubt, don’t be shy and ask a local. The Londoners are friendly folks and won’t hesitate to point you in the right direction. What we weren’t expecting is that to go from point A to point B can take even 1 hour (or more! ), using the metro, which is why it’s important to find a good hotel in the city center (Metro area 1). There are so many things to do in London at night, too, and while we always felt very safe, also later in the evening, it’s not exactly great to commute for 1 more hour to get to your hotel, when you’re already dead tired after a long day spent exploring the city. The best way to save some money on public transport is by using an Oyster card. It is a reusable, pay as you go card: you buy it and charge it at one of the machines located in every station. When you have to hop on the metro, you put your card on the yellow reader and you’re good to go. The correct fare for your ride will in fact be automatically applied. While on the metro you have to swipe twice, when you get in and when you get out, on trams and buses you just swipe once, when you get in. The Oyster Card is a great option because you can use it on the Tube, DLR, trams and the MBNA Thames Clippers (a fun way to see the city from the Thames). Why is it also a budget option? Because for each calendar day there’s a fare cap (the maximum amount you pay in a single day on public transport): if you reach the cap, you’re basically traveling for free for the rest of that day. It is also possible to use your Oyster Card to get to Gatwick Airport using the Gatwick Express, and from May 20, 2018, you will also be allowed to use it on the Heathrow Connect, to get to Heathrow Airport. On your first day in London, get up early and make your way towards Trafalgar Square, the main hub in London. Built around the area formerly known as Charing Cross, it commemorates the Battle of Trafalgar, a victory of the British navy in the Napoleonic Wars with France and Spain. After taking a few pictures and admiring the statues, you can head towards the North side of Trafalgar Square, where the National Gallery is located. Guess what? The entrance to this magnificent art museum is free! Inside there’s a collection of over 2300 paintings dating from the mid 13th century to 1900. One of our readers suggested you visit also the National Portrait Gallery, in case the National Gallery is too crowded. It’s tucked just around the corner from it. On the other side of the street you can visit St. Martins in the Fields Church, where you can eventually also have a nice coffee or a snack at their Cafe in the Crypt. When you’re done, you can walk to Whitehall (about 10 minutes) to see Downing Street, that you’ve probably seen on tv several times, known for housing (at n. 10), the official residences and offices of the Prime Minister and the Chancellor of the Exchequer. Keep walking and… don’t feel too disappointed. Yes, it’s the Houses of Parliament, but where’s the Big Ben? At the moment and likely until 2021, it will be all wrapped up. 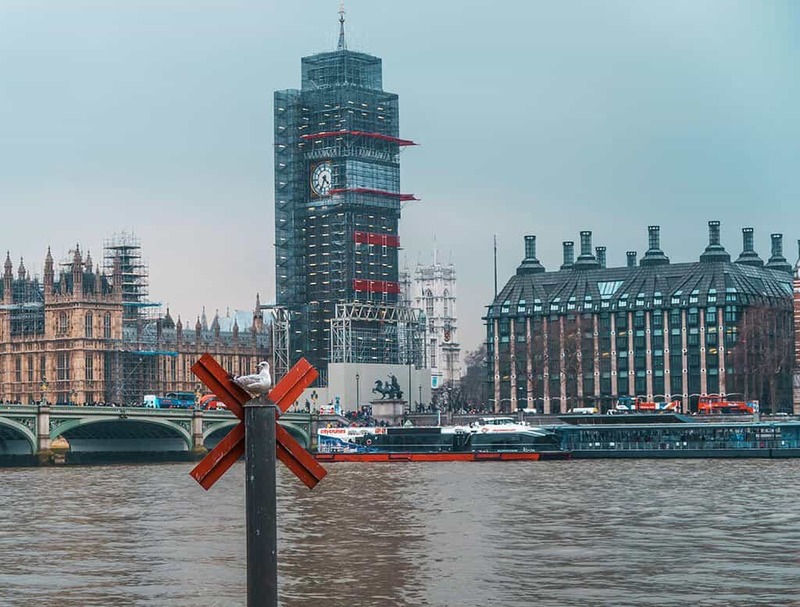 The UK’s most famous clock is closed for very important renovations. You will see the clock and the pointy tip, but not much else. If you like the British clock towers, maybe hop on a train for a trip to Manchester (it only takes 2 hours from London): their Town Hall looks a lot like the Big Ben! We tried the Coca Cola London Eye experience, across the Westminster Bridge. 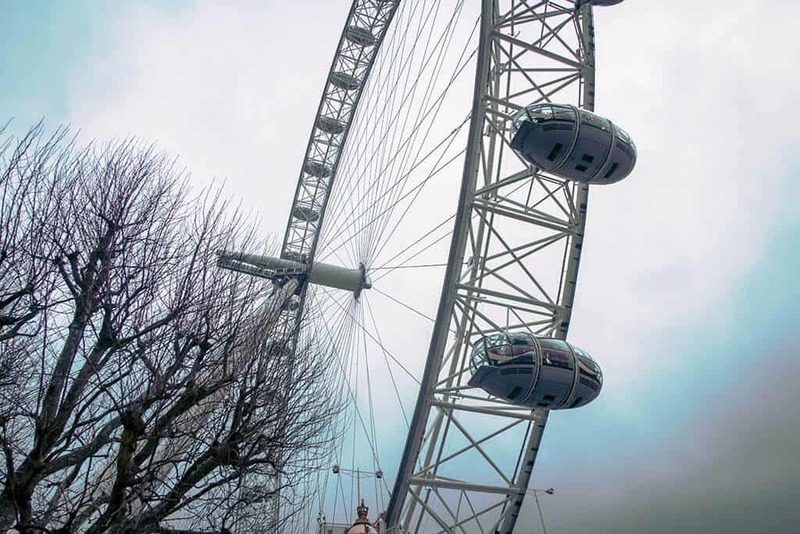 It’s one of the most famous ferris wheels in the world, located on the South Bank of the Thames. There are standard rides, where you pay for your ticket and enjoy a 30 minute ride with other people, and VIP experiences. We have done the Champagne Experience, with Fast Track entry and a glass of chilled Pommery Brut Royal Champagne. Full disclosure: it was foggy and the light was particularly bad. We weren’t able to see much of the city, and with the Big Ben all wrapped up, we had fun only because we were riding with a bunch of friends. Or maybe it’s just that we were spoiled because we had been on the High Roller in Las Vegas, which is the tallest ferris wheel in the world? This is a guide do what to do in London in two days… on a budget. In our opinion, the Coca-Cola London Eye isn’t cheap and isn’t worth the time and money. Especially if the weather isn’t perfect. Unless you pay for a VIP Experience, in fact, you might stand in line for over two hours just to get into your capsule. If you really want to go, then our suggestion is to book your tickets online, because you will save quite a bit. But make sure you have enough time to see everything else, too! In case you want to do it at a later hour, maybe for an evening ride (here you can check the times), the nearest tube to the London Eye is Waterloo, served by the Bakerloo (brown), Jubilee (grey), Northern (black) and Waterloo & city (green) lines. Whether you decided to ride The London Eye or not, after lunch you should walk back towards Westminster Abbey. It’s a walk of about 15 minutes. Westminster Abbey is a beautiful Gothic abbey, pretty old and absolutely beautiful. Because the ticket is pretty expensive, I’d suggest you take a few pictures of the outside. Especially in Spring, with all the flowers blooming, it’s worth the stop! In case you bought a lunch to go, we encourage you to walk to St. James Park and eat it there. Once you’re done exploring, walk around the lake and over the bridge. From the middle of the bridge you will be able to shoot a beautiful postcard-picture of Buckingham Palace and St. James Palace. Make sure not to miss the beautiful Wellington Arch inside St. James Park, and once there, you will find the Hyde Park Corner station on the Piccadilly (blue) line. Take it to Knightsbridge. You can certainly walk there if you feel like it, but because your 2 days in London involve a lot of walking, we tried to save our energy also for the second day! In Knightsbridge you will find the most famous department store in London: Harrods. Take a few pictures of the outside, but beware that shopping here is absolutely expensive. Yet if you haven’t had lunch or are in for an afternoon snack, have a look at the food floor. It’s where you can try lots of delicious goods for free. The Natural History Museum is our favorite instagrammable spot in London! If you still have some time (you can save one also for tomorrow, in case), there are more free museums in London that are worth the visit. The V&A (Victoria & Albert) museum is the world’s largest museum of decorative arts and design, housing a collection of over 2.3 million objects. If you aren’t a fan of modern art or you got your art fill for the day with the National Gallery, consider visiting the Science Museum or the Natural History Museum. Both are very beautiful, but our personal preference goes to the Natural History Museum. Mom always makes sure to bring her pupils there when she visits London with her school and no one ever complained! In case you don’t feel like visiting the National Gallery, you should have more time to visit the Natural History Museum in the afternoon, or on your second day in London. Again, it’s free, they only charge (sometimes) if there are specific temporary exhibits so make sure to go. It’s one of the museums we loved the most in London! The only thing you should remember about the Museums in London is that they generally close at 6pm so last entry is at 5:30pm. Afterwards, if you’re still willing to have a look around, according to where your hotel is, you could explore the Kensington Gardens or Regent’s Park. 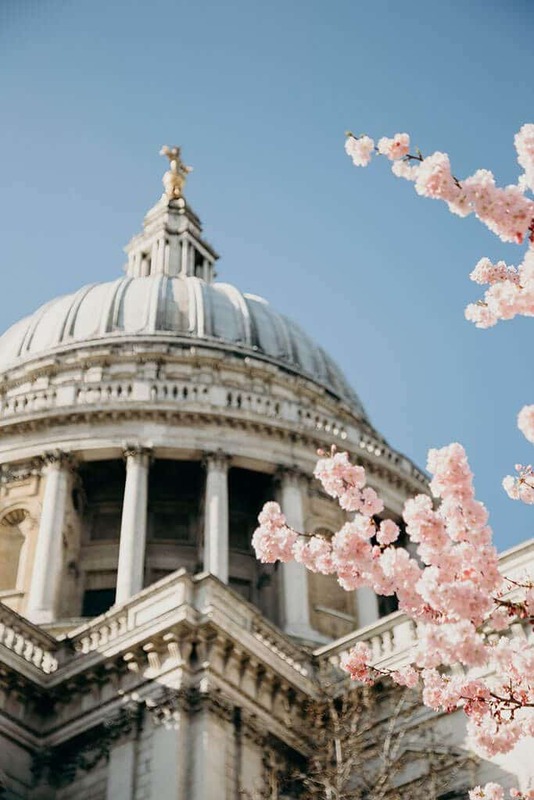 St. Paul’s Cathedral is even more beautiful in Spring! Because you don’t have too much time in London, today you’ll be forced to get up early once again (booh!). After breakfast you should head towards Somerset House. This spectacular neo-classical building on the banks of River Thames is a major cultural hub which houses art galleries and the Courtauld Institute of Art. The admission is free, you’d only pay if you want to visit the Courtauld Gallery. Yet if you head to The Edmond J. Safra Fountain Court during spring and summer you’ll be able to see a beautiful fountains show. It goes on from 10am to 11pm. They also run free guided tours three days a week. In this area you will find St. Clement Danes Church and Temple Church, which is a beautiful Gothic church. Tickets cost £5: it’s up to you if you want to visit the inside or if you want to keep walking towards St. Paul’s Cathedral. Especially in spring, with the blooming cherry trees in the area, this Cathedral is particularly beautiful. Unfortunately the tickets aren’t exactly cheap, so you can take a few pictures on the outside, as this is one of the iconic sights in London that you absolutely can’t miss! Another nearby monument that you can fit into your London vacation on the cheap is The Monument to the Great Fire of London, known also as “The Monument“. This Doric Column is another must see in London, and stand at the junction of Monument Street and Fish Street Hill. The closest tube station is Monument, served by the Circle (yellow) and District (green) lines. 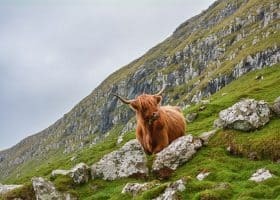 While the tickets to climb up aren’t really expensive (only £4.50), and the views from the top are very nice, there are a few things you should consider. First of all, they only accept cash payments, so make sure you have cash with you or you won’t be able to buy a ticket. Then if you are carrying a large backpack, you will be asked to leave it at the base of the staircase. And last but not least, they will allow a maximum of 33 people per group inside, so you might have to wait in line for a while. It’s up to you, really, and it can also represent a cheaper alternative to The London Eye, in a sense. But the same rules apply: if the weather is foggy or there isn’t a clear day, it’s possible that your pictures won’t be that great anyway. Because you only have 2 days in London, and there’s still so much to see and do, choose wisely how you want to spend your time. Tower Bridge seen from one of the Thames clippers! After lunch, you can head over to Tower Bridge and the Tower of London. You can either walk on the bridge and take pictures from there, or use your Oyster Card for a MBNA Thames Clippers ride. 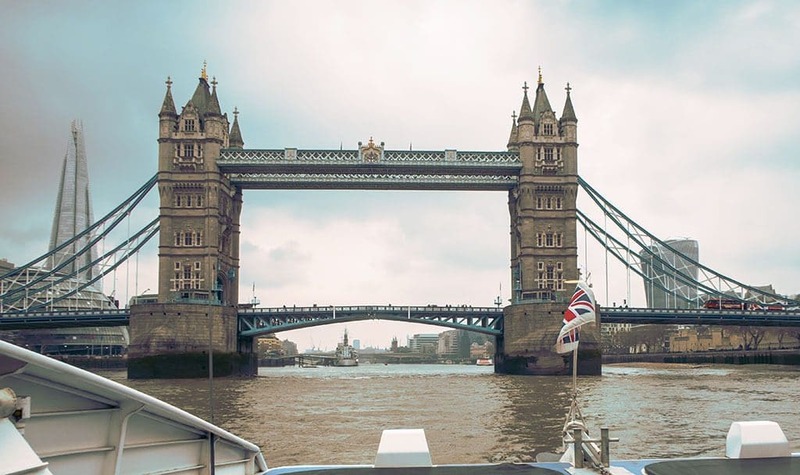 Instead than using the Tube, in fact, you can hop on board on a boat that will bring you from Point A to Point B (you can see nice clips we shoot while on the boat, passing under the Tower Bridge, in our Youtube video). Meanwhile, you’ll get to have a nice river cruise. It felt a bit like being back to our weekend in Amsterdam, where river cruising was an absolute must do! If you cross the river on the Tower Bridge, you can see the City Hall and Southwark Cathedral on the other side. In this area you will find also the Tate Modern, a modern art gallery, and the Shakespeare’s Globe Theatre. These aren’t free, but because Dany graduated in English language and literature, we decided to visit The Globe on our first trip to London. It wasn’t cheap but we enjoyed the visit. Of course, if theater and literature aren’t your things, you can just take pictures from the outside! 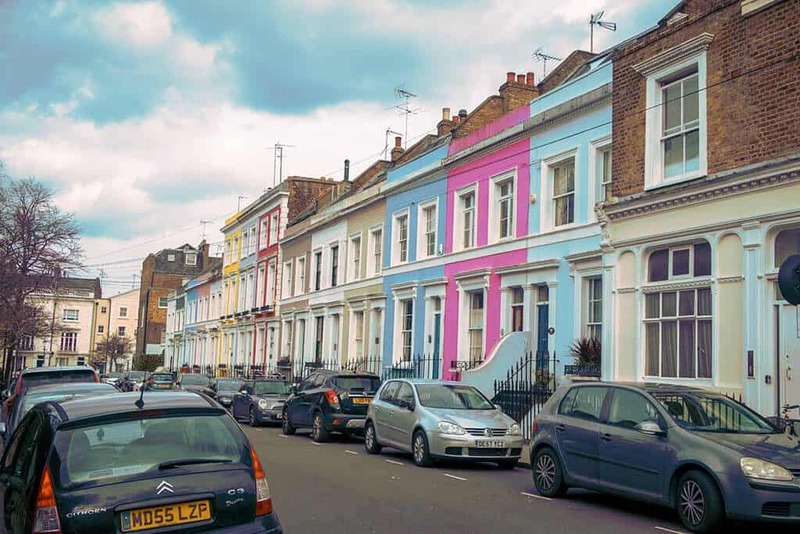 Notting Hill is probably the most visited place in London because of the movie… and the colorful houses! Not interested in art and history? We’ve got you covered! An alternative for you could be Notting Hill, the instagrammable fairy-tale district of London. Head over to take pictures and explore Portobello Road and all the cute little shops there. Another free alternative on a sunny day could be a walk over at Primrose Hill. Did you know that Mr. James Bond / Daniel Craig owns a house here? The area is quiet, beautiful and full of flowers in Spring. And way less crowded than other parks like for example Regent’s Park. It’s your last day in London, so make sure you go to Leicester Square (I told you about this square on my article on the best Christmas markets in Europe): in this area you can spend the rest of the afternoon and also the evening. This pedestrian square in the West End of London is full of beautiful shops and popular restaurants. On our latest trip to London we had a Mexican/Peruvian shared dining experience at Leicester Square Kitchen, a glam place where food is delicious. Imagine our surprise when we sat at our table… and discovered that our waitress was not only Italian, but from Naples! Sabrina was amazing. 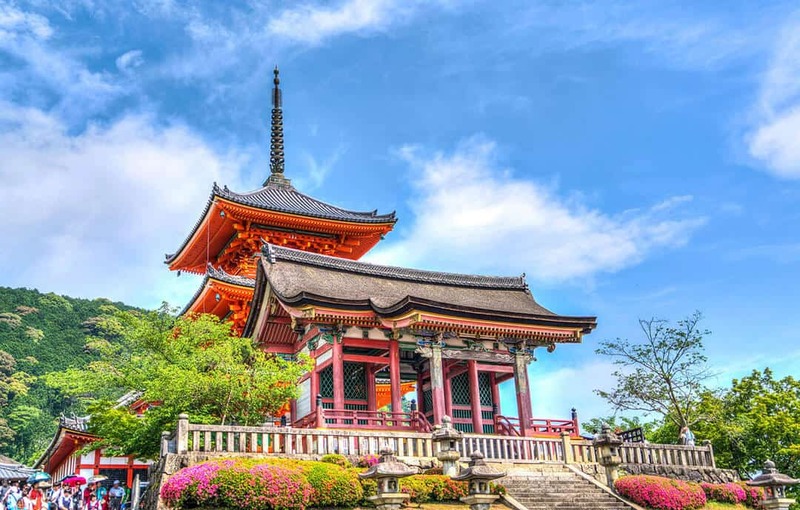 If you have been traveling long enough, speaking a language that isn’t yours, you’ll always feel more than thrilled to hear your own language and/or dialect spoken in another part of the world. 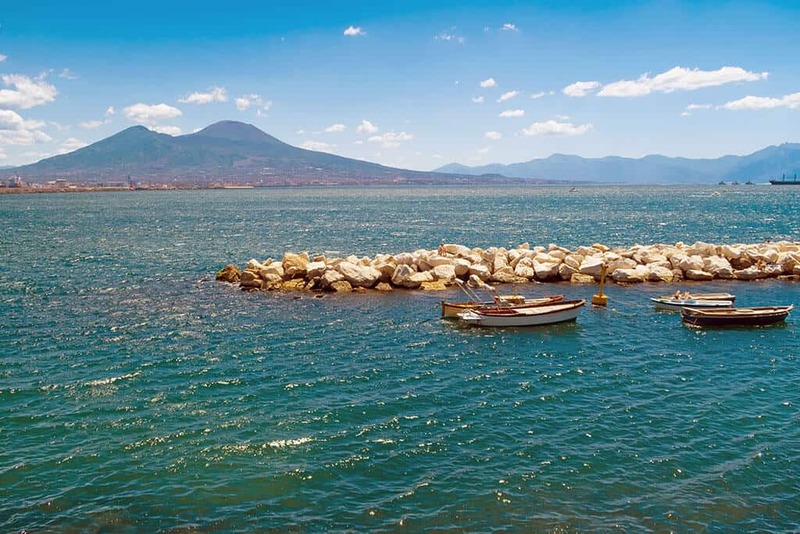 Especially if you’re from Naples: we have this visceral connection to our land and after a while, we miss home like crazy. How could we not eat the Instagram-famous bubble wrap? If you like Asian food, then keep walking to the beautiful Chinatown in London. 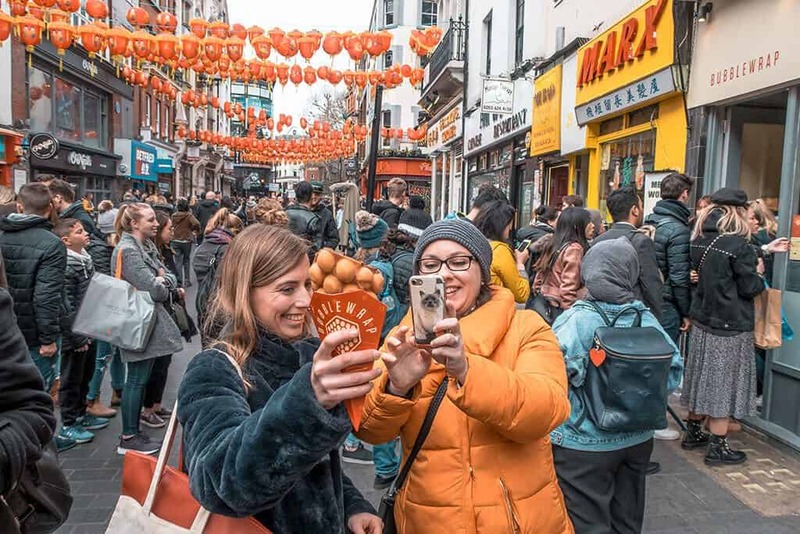 We explored this part of the city with a Chinatown London tour and had the chance to taste four different cuisines, with Sichuanese, Vietnamese, Malaysian and Korean dishes. If you are dining in the area, we definitely recommend stopping at Baozi lnn: the food was delicious, they have a few restaurants in Chinatown and each one has a specific signature dish. If you like Asian food, this is the place to go! Before you get back to your hotel, walk to Piccadilly Circus, a road junction and public space of London’s West End. In a way it made us think of Times Square in New York City, with its futuristic video displays and neon signs. It can be crowded but you should add it to your London in two days itinerary: make sure to go there in the evening, and then hop on the tube at Piccadilly Circus Station, which serves the Bakerloo (brown) line and Piccadilly (blue) line to get back to your hotel! 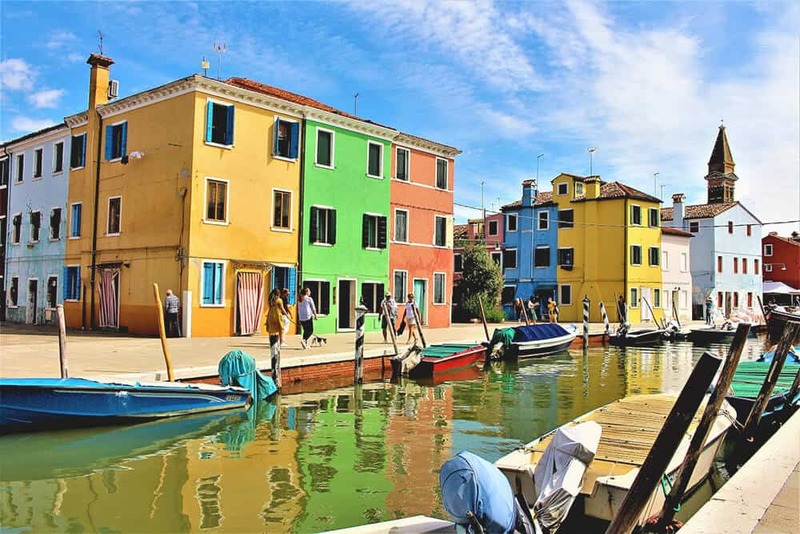 This post was written in collaboration with Visit London. Needless to say, our opinions are our own and aren’t necessarily the same as the Visit London Team. They vast collection of free museums reminds me a bit of Washington DC, complete with cherry trees too. I always wondered about the Globe Theater. I passed it many times and just took pictures from the outside. Since I am neither an art major nor a drama major, perhaps that is all the tour that I needed. Thanks for a great London wrap up. We visited the Globe a few years ago on another trip to London and loved it. If you’re theatregoers I’m sure you’d love it! Dany!!! I love the way that you share this article. Though 2 days is very short for London, seems like you really managed to enjoy everything here and discover new things to enjoy. I really love the budget tips you shared, very helpful. Thanks for sharing! 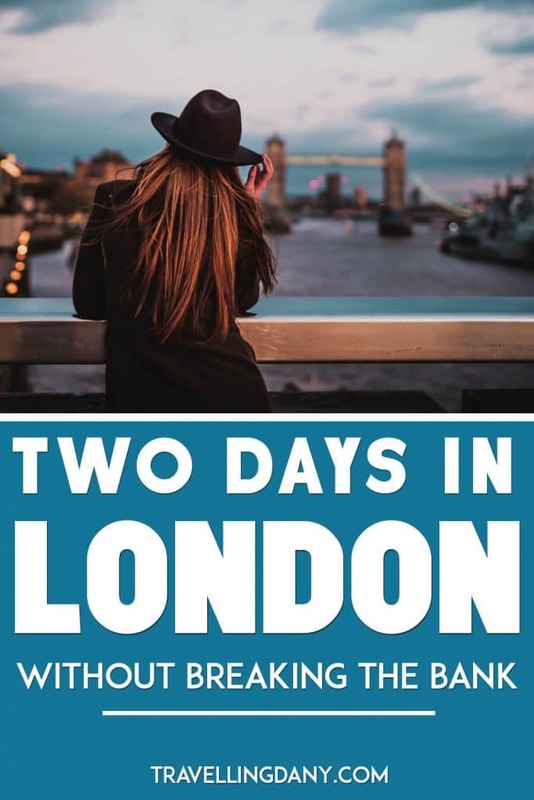 Unfortunately many people add London to a longer European trip, or (very common in Italy) they just plan a weekend because it’s an expensive city. I do agree that 2 days in London aren’t enough but not everyone can stay longer. 🙂 I still think that many visit for a shorter trip, fall in love with London and get back for a longer vacation. Which is exactly what we did! South Kensington is a great area, good thinking!!! We were also wondering about renting a flat, but I think it starts being a good option when you stay for 4+ nights. For a 10 days trip it might help you save a lot, since hotels in Zone 1 aren’t cheap and as you mentioned, you’d also be able to cook so you’d save on restaurants as well! And wow you did so much in 10 days, I love how you selected so many historical sites! My mom has visited most of them but I’m missing quite a few! We’d also love to get back for our third trip but then I keep wondering… is it really possible to slow down in London? 😀 Because there’s so much to see and we’re always so excited to be there, we end up doing so much! Did you get to do some shopping at Harrods? I haven’t been to London in years, but I had a really great time when I was there. The London Eye was so cool! I was impressed that it took 30 minutes to go all the way around. I remember also going to a really good outdoor market. I loved all of the free museums in London. You might want to try also the ferris wheel at the LinQ in Las Vegas then! We liked it more than the London Eye because it’s taller and the weather is rarely bad! Wow this really is a great budget guide for London! I lived there for a few months as a student and definitely had to figure out ways to enjoy the city without breaking my bank account lol Now during my return visits I’m able to enjoy a lot on a reasonable budget. Thanks for sharing! That’s a great tip for the Oyster card, I didn’t know you could use it to get to Gatwick – and Heathrow! So you could spend all day travelling around London, then get your transport to the airport for free because of the fair cap? Sounds like a great deal to me! We loved it for Gatwick because we could skip all the lines to get the tickets for the Gatwick Express! It will soon be available also for Heathrow, such a great way to save on time! The fare cap with the oyster is a very helpful tip. And the museums of course are a part of my must visit list. I keep reading about them in each post, hope I get to visit now. I will keep my fingers crossed that you get to go soon! Great overview of London! You covered the basics although 2 days is extremely short for such a large city, thanks for sharing! 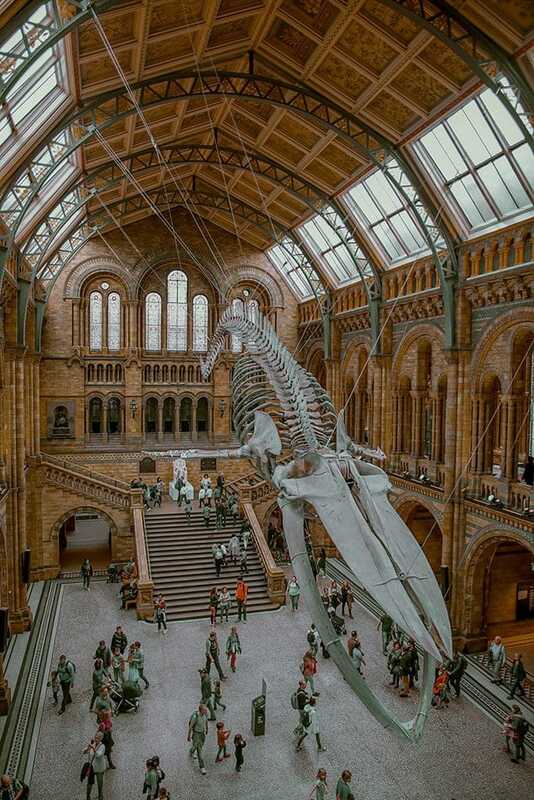 Natural History Museum is always a favourite of ours when visiting London. As we like walking we always walk around more than catch the Tube but can understand people that like its allure. I didn’t find London any more expensive than any other city – all you do is shell out money. They are good to enjoy for a couple of days before hitting the sights outside – we really enjoyed the Harry Potter Movie Making experience – but again expensive but well worth it I think. I would recommend the Sky Garden. It’s actually free and the views of London are great from there. including the Shard. The Garden itself is fabulous! Great tip Carol! Someone mentioned it’s crowded? This is very helpful thank you. I did not about the fare cap with the oyster. That would sure help in a trip to this otherwise very expensive city. It’s a very nice option indeed, also because if you don’t have enough time in London you’re bound to hop on and off the tube! Great tips on how to visit London on a budget. London is not really our cup of tea, but we definitely agree with your recommendation about the Oyster card! That’s very interesting, may I ask you what ticked you off about London? I spent two years living and London and you’ve described most of its greatest hits. I would recommend the National Portrait Gallery as a less crowded option to the National Gallery. It’s tucked just around the corner from it. I also like nipping into St. Martins in the Fields across the street for a performance and tea from their Cafe in the Crypt. Thank you very much Jody, I’m adding your awesome tips to the article! love this post! I felt the same way initially about London after my first visit but I’ve been looking forward to giving the city another try since I’ve got most of the touristy things out of the way. Just like us! We actually learned to love the city by avoiding the touristy spots. Too expensive and crowded for our tastes! This is a great guide on a budget friendly trip to London. I live here, so understand it’s very expensive for travellers. The musuems are free, so perfect for bad weather days. 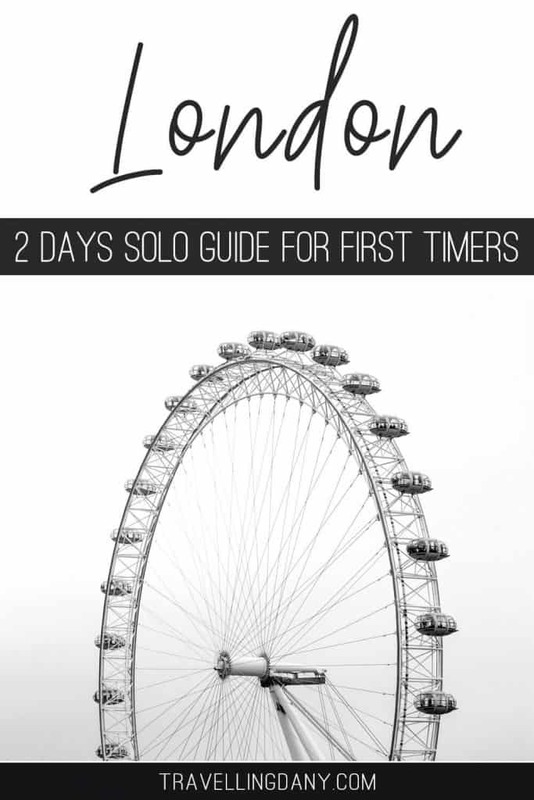 I love London but its so expensive and this is a super useful guide! I love the fact most London museums are free in London!